This is the season to hate the Chinese Did RSS participate in Freedom Movement? 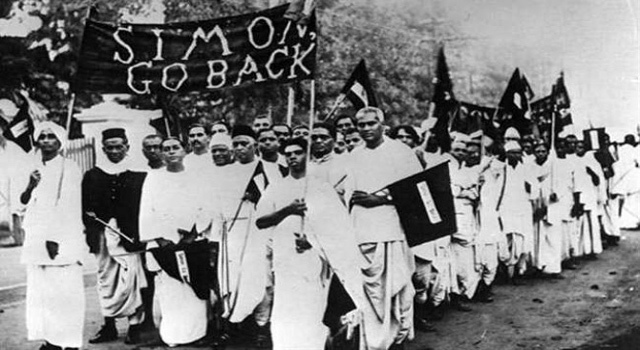 The ‘Quit India’ movement 1942, whose 75th anniversary is currently being celebrated, was the major landmark in the struggle for India’s Independence. On 8th August the Indian National Congress working Committee Meeting at Gowalia Tank Maidan (now August Kranti Maidan) decided to launch the movement against British rule. This was the major popular mass movement after the non cooperation movement of 1920 and Civil Disobedience of 1930. Gandhi’s’ magic of involving the Indian people against the British was the spinal cord of struggle for India’s Independence. Earlier the politics of Congress was exclusively done by the educated and other elite. Gandhi in tune with his philosophy, the major ingredients of which were Satya Graha and non violence, revolved around the involvement of all the people irrespective of their caste, class, religion or gender. Earlier in May 1942 Gandhi was already telling British to leave India. With this resolution of Congress the biggest battle for Independence came into being. The term for this upsurge, ‘Quit India’, was provided by a Socialist Congressman, Yusuf Mehrali. Most of the Congress leaders were arrested, and thousands courted arrest to make the point of their participation in the direction of Indian nationalism. The revolt was massive to the extent of shaking the British rulers. What were the core values of this movement? It is true that Congress was the major party unquestioningly standing for this movement, providing the ideology and logistics of the movement. The other political formations like that of Communists and Hindu-Muslim nationalists kept aloof from this. For communists, as Russia joined the war against Germany, this war was labeled as Patriotic War and they supported British. Muslim Nationalism, Muslim League with Jinnah in the leadership, had already talked of separate Muslim Pakistan. They were unconcerned about this movement. They felt an undivided India is synonymous with Hindu raj. As far as Hindu nationalists are concerned, there were two major streams. Hindu Mahasabha under the leadership of Savarkar, which was opposed to Quit India movement and gave firm instructions to supporters of Hindu Mahasabha to stick to their assigned duties in the state apparatus. The other stream was RSS. Its Chief Madhav Sadashiv Golwalkar issued the instruction to all the Shakhas, not to do anything which will annoy British authorities and to abide by law. Atal Bihari Vajpayee, the RSS worker, was arrested during this period, but he was quick enough to clarify that he was a mere onlooker and not the part of agitation and so he was let off. The founder of previous avatar of BJP, Bharatiya Jansangh, and Shyama Prasad Mukherjee was at that time leader of Hindu Mahasabha in Bengal. He promised the British that he would do everything in Bengal to defeat the Quit India movement. The participation of the people of the country was remarkable. This movement was the peak expression of what the concept of ‘India as a Nation in the making’ stood for. As people of all religions fought shoulder to shoulder, Gandhi’s central credo of Hindu-Muslim unity was there for all to see. By this time the support for Muslim League was miniscule and Hindu Mahasabha did not have much electoral support from Hindus. It is these values which culminated in the Indian Constitution. Today what is happening while we commemorate the 75th Anniversary of a great mass movement? The ruling party which is not aligned with the spirit of Indian freedom movement and so also of Quit India movement has to blow some trumpet for electoral considerations. So our Prime Minister in his ‘Man Ki baat’ expresses the hope that people quit communalism, casteism, corruption etc. This is a noble thought but seems to be mere slogan. We have seen that due to the policies of this Government, communalism has grown by leaps and bounds. Adding on to the divisive issue of Ram Temple, Love Jihad, and Ghar Wapasi has been added a more potent issue of Holy cow-beef eating. This issue itself has led to incitement of mass hysteria leading to lynching after lynching. The IndiaSpend data of last six years of lynching has shown that these incidents have gone up many times over during last three years, since Modi came to power. The insecurity of Muslims has gone up by leaps and bounds; they have been marginalized from the political stream at a rapid speed. It is during last three years that we have witnessed the atrocities against dalits going up and assuming frightening proportions. The institutional murder of Rohith Vemula, the brutal flogging of dalits in Una is a sampler of the state of dalits in the country. While the economy is taking a rapid downturn for weaker sections of society, the issues of corruption like that of Vyapam are being put under the carpet. The Nobel sentiments expressed by Prime Minster will remain hollow trumpets unless steps are taken to unite the people in the spirit of what Mahatma taught, i.e. Hindu Muslim unity and freezing the issues like that of Holy Cow-Beef for the sake of better social atmosphere. BJP is launching nationwide ‘Sankalp Se Siddhi’ (Determination for Achievement) program at all India level in which among others film on Savarkar will also be shown. It is a total negation of the spirit of Quit India movement, as Savarkar had strongly opposed the movement, as he was for Hindu nation, for collaborating with British to oppose Muslim nation. The basic ideology and spirit of this great mass movement urges upon us to value the spirit of fraternity and equality rather than paying lip service to Mahatma by making him an icon of cleanliness, to follow him on the path of communal politics. Remarkably Gandhi had refused to endorse to move to ban cow slaughter in deference to the diversity of the country. One hope that the resolution being passed in joint house of parliament will have a mention of Gandhi and Congress, who were the pivot of the struggle for Independence. Rahul is furious over the "lawlessness" in Haryana!